Coleoftheball: #BigBlogmasproject2014 - Etsy decoration wishlist. #BigBlogmasproject2014 - Etsy decoration wishlist. When I thought of this topic for the project I knew I would go to etsy for my decoration wishlist. There is some gorgeous decorations on there and a lot of them are really affordable. My dad is super possessive over our christmas tree and he gets a little bit obsessive about it (sorry dad but you know it's true!) so all our decorations match perfectly so I can't wait till I have my own christmas tree that I can cover with lot's of cute bits like the ones above! 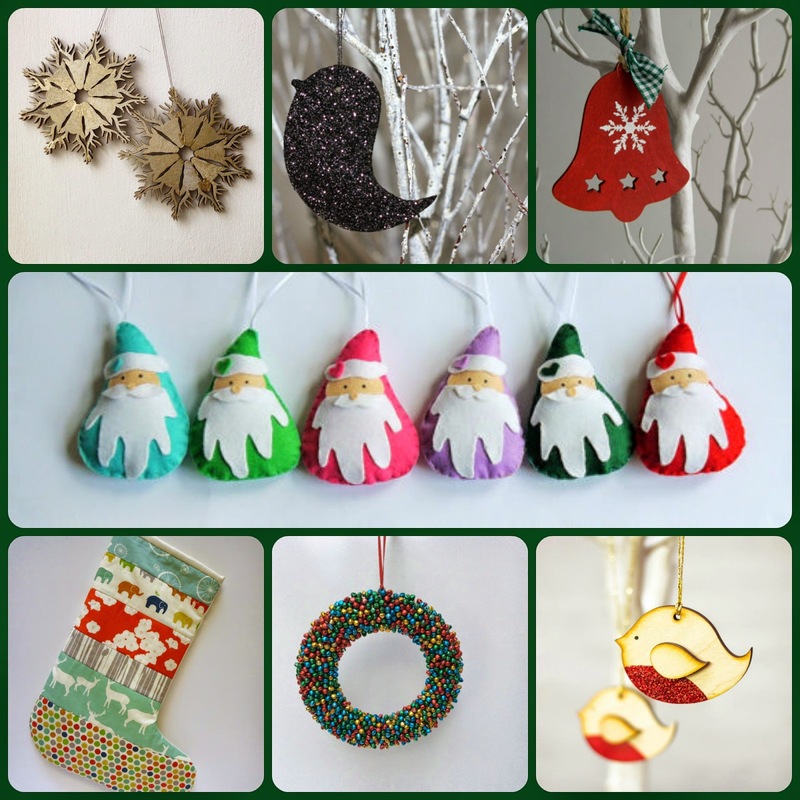 I bought the most amazing decorations off Etsy this week, they're just so cute and I love the idea of having something hand-crafted on my tree, it gives it a very unique feeling!